I was really a deprived child. Growing up in St. Louis, there were not really any options to eat sushi. So I didn't really ever get to eat it until I moved to Washington DC 13 years ago. But since I've been here, I've probably had it more than 1,000 times, all over the world. It's also my 4-year-old son's favorite food by far. He calls the eel rolls "candy sushi." 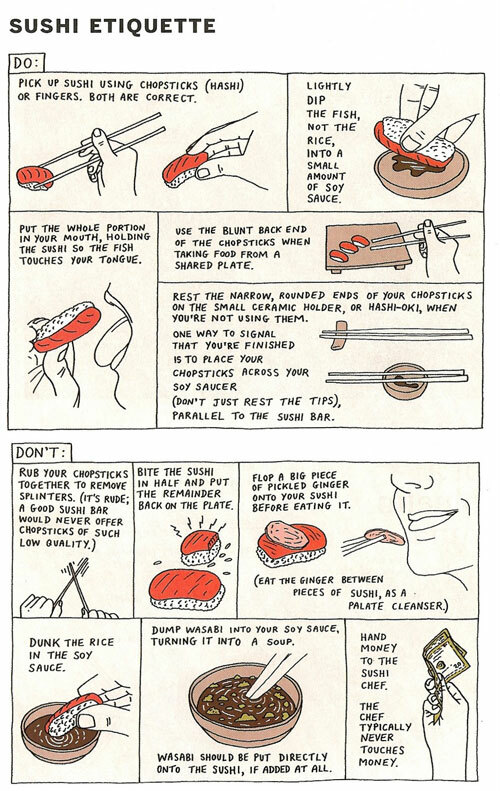 I think I've done a good job of building strong manners for eating sushi. 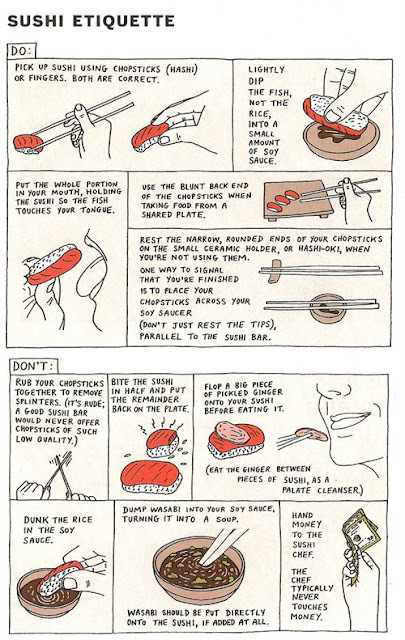 But it's funny to see this chart of sushi dos and don'ts, posted by the excellent blog Smart People I Know, which notifies me that I should stop blending my wasabi in the soy sauce. Hmm. And my son usually bites the nigiri in half, but otherwise his manners are in tact as well.